You can choose models and modifications from Optimal, Vertical, Direction and Sport series, available for purchase in India. 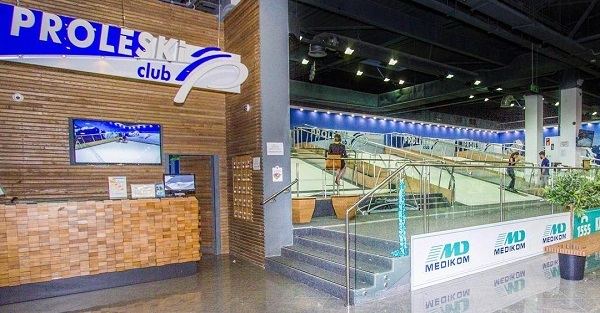 It is a proven business idea to create a recreational place for those, who want to spend time with family and friends, to arrange team competitions, to keep fit, to train, for muscle-toning. Our machines help with post-injury rehab and return-to-sport therapy. 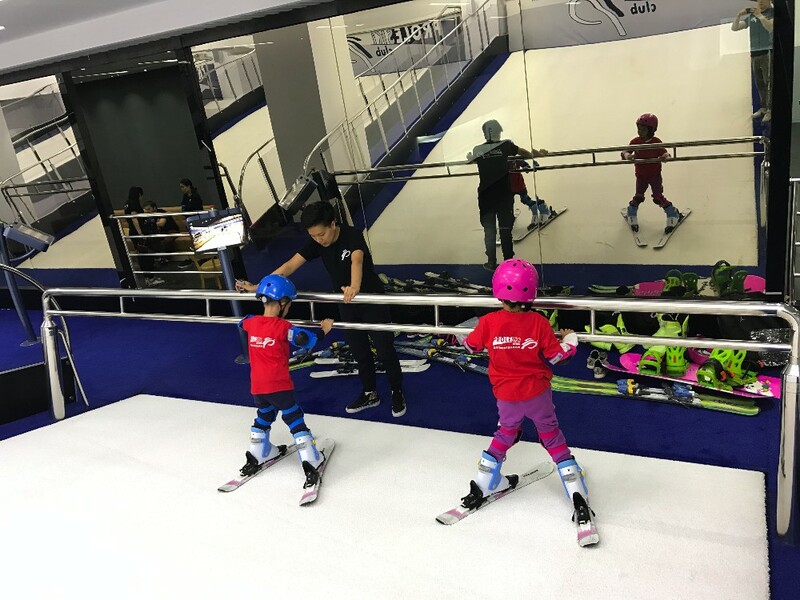 Skiing and snowboarding are both “full-body sports”, so clients will be able to brush up on balance and coordination, which they will definitely need on the slopes in future. 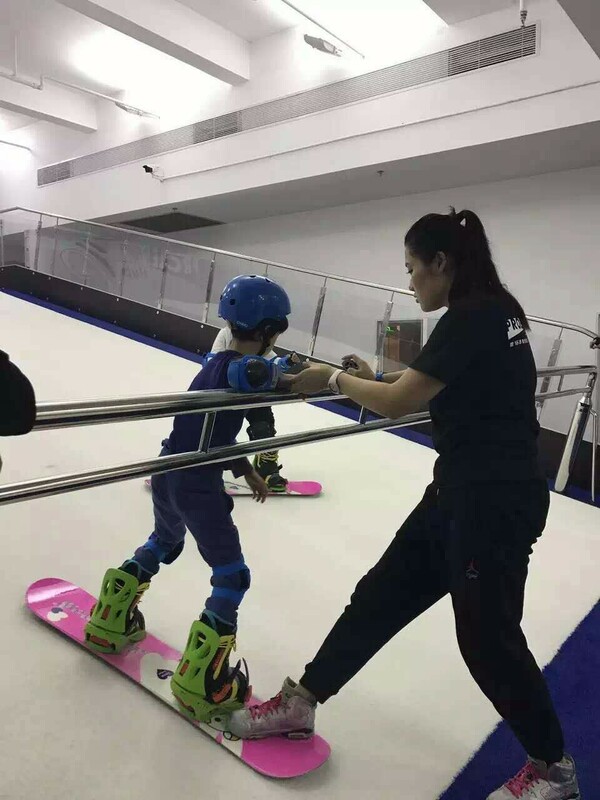 The wide diversity of tracks, including popular resorts and Olympics, will satisfy every client: from first-timers to families and to pros. We are able to manufacture any configuration of the simulator upon your request, based on your goals and features of the indoor space. 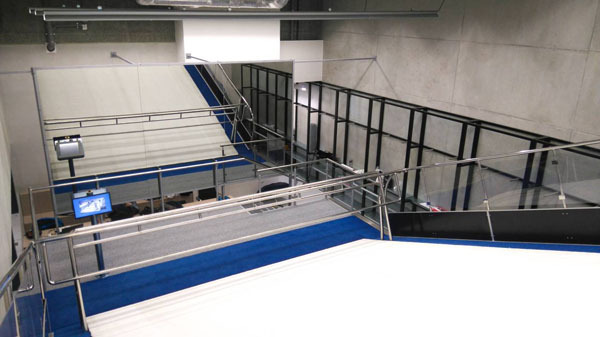 Furthermore, we have extensive experience in the distribution of the weight load of the simulator on the floor slab with a valid value from 200kg/ m2 or higher. 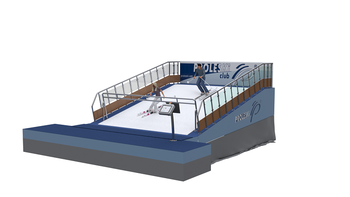 Ski simulators Proleski, manufactured by our company is primarily distinguished by the maximum number of simultaneously riding skiers. 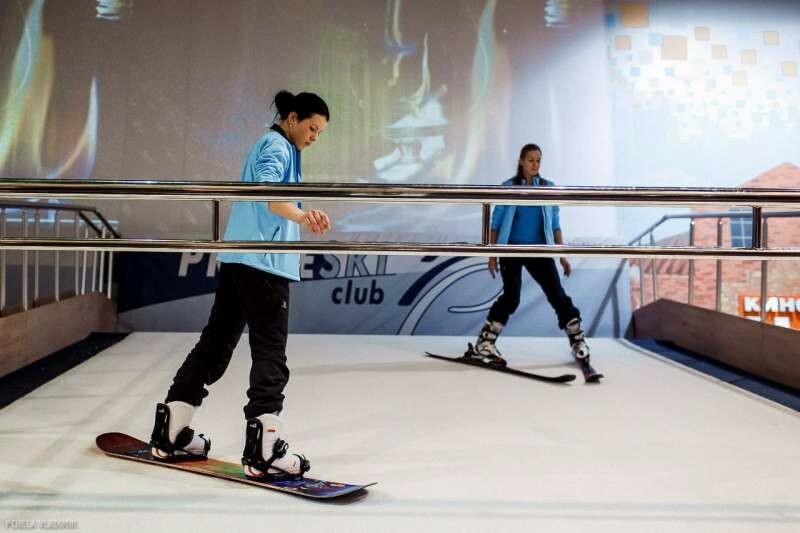 Infinite slope PRO2 models are intended for 2 skiers and, as well as other models, have a large range of technical features, which take into account the latest developments in the industry. Firstly, we should note that our company uses components and materials only from reputable European companies such as Siemens, Forbo, SKF, etc. 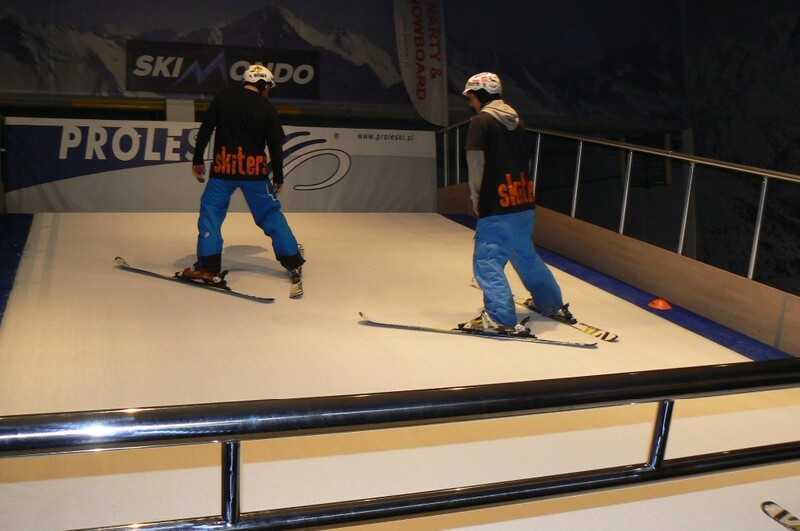 in manufacturing ski simulators. We pay close attention to the safety of our clients. Therefore, it is essential to provide reliable security system. 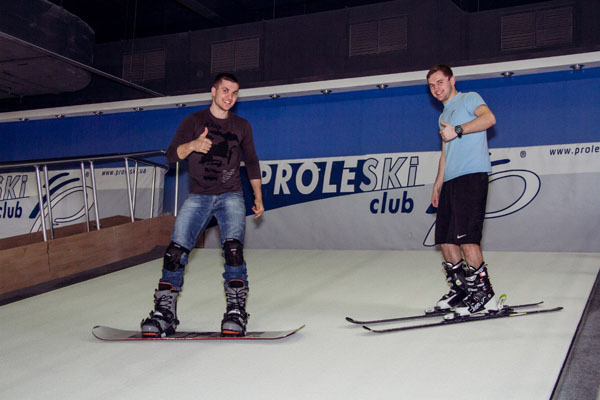 In PROLESKI infinite slopes it includes safety railings along the perimeter of the ski simulator, emergency shutdown system, that will stop the carpet motion instantly, in case a skier falls, and comfortable handrails on each side of the band. 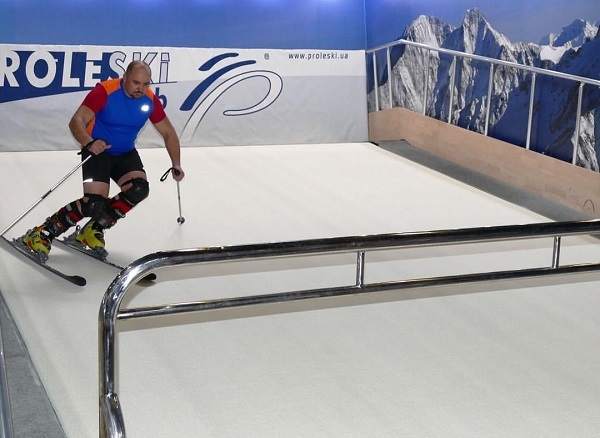 To intensify the simulation and lessen the workload for the staff to concentrate on trainees, PROLESKI implemented automatic water supply to moisten the surface of the ski carpet and improve the slip into the infinite slope design. The special covering of the moving band sustains all loads. It consists of the special composite material and can function without compromising sliding quality for 5000 hours. That is why we guarantee warranty coverage for 24 months.